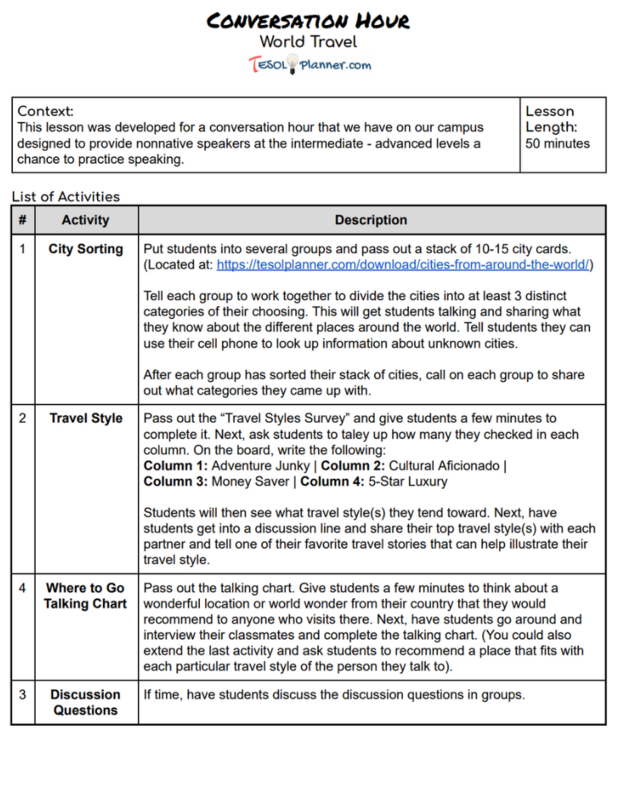 This is a lesson plan I recently created for a conversation hour. It will get students chatting and sharing together on the topic. 0 responses on "Conversation Hour: Travel"